Estimating the cost of employee engagement: A Leader’s Guide. Companies worldwide agree that they are paying the price for having disengaged employees on their workforce. But what is often not clear is the extent of impact disengaged employees can have on the financials of the organization. Considering the heavy costs of disengagement (and investments supposedly made into employee engagement), this might seem pretty surprising to most. Not so, if you consider that the effect of disengagement is difficult to quantify at the least and nearly impossible to isolate at worst. Can the CEO attribute the failure of a major product launch to disengagement? Maybe the market research got it wrong. Maybe the bugs were introduced because of the crunched timelines. Maybe the communication that went out didn’t convey the correct messaging. Maybe the products were not innovative enough – but was that due to caliber of the team or were they just not motivated enough to think things through? Maybe the business leader was overbearing with is ideas and no one cared enough to stand up to him? As you can see, unlike clear financial and sales metrics or project timelines, identifying the extent of disengagement and its contribution to failure is a Herculean task. Herculean – Yes, Impossible? No. Lets try and break down the costs in the typical areas where employee disengagement impacts the organization. So lets factor in (A) up-to a 31% productivity cost due to disengagement. According to CSO Insights’ Sales Compensation and Performance Management Study, at organizations where less than 50% of the salespeople were actively engaged, only 39% achieved their quota. This number almost doubled to 63% achieving their targets when 75% of the sales staff was engaged. A disengaged sales force might see issues ranging from macro market situation to a problem with the product, the sales collateral, the brand positioning – whereas engaged employees will figure out what it takes to get the sales. They won’t tell you the sales collateral is all wrong, they will talk to the marketing guys to point out exactly what is wrong and get it fixed. So if you don’t have a full engaged sales force factor in (B) up-to 50% shortfall in sales targets being met. Disengaged employees are more likely to quit – now that’s hardly news. What is astonishing is the fact that surveys shows they are 87% more likely to quit than their more engaged counterparts. Would you take a flight that is 87% likely to fail somewhere along the way? So the organization gets saddled with the cost of replacing these employees at some point in time. The SHRM estimates that considering the costs of find a replacement, training, and productivity loss et al., the employee turnover costs in an organization ranges from 100-300% of the departing employees base salary. 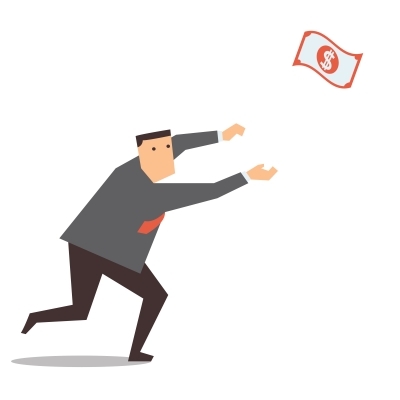 Lets consider the midpoint and add that to the costs of disengagement (C) around 200% of the cumulative base salaries of employees who have quit. When the company workforce is engaged there are up-to 50% fewer accidents and up-to 41% lesser quality defects. Gallup research shows that the top 25% engaged workers in an organization in addition to having the fewer accidents; also have significantly lower health costs. If we consider the Gallup report on “The State of the American Workplace” as a reference, the Health-Related Cost to the Employer is almost 3 times for disengaged employees versus engaged ones ($11.7k vs 4.3k). Engaged employees have less days off due to illness and are more productive when they do show up at work. The added healthcare costs have a direct impact on the bottom-line of the company and lets add that to the costs – (D) Up-to 3x the average healthcare costs when compared to engaged employees. It is a well established fact that the cost of selling to an existing customer is far lower that acquiring a new client. Research has now established a strong link between the levels of employee engagement and degree of customer satisfaction and loyalty. Customers are more likely to give repeat business (and recommend a business to others) if they have had a positive experience with the organization – and this experience is a combination of the product, the service and frontline staff interactions over a period of time. Harter et. al, (in their 2009 meta-analysis) established that business units that were in the top quartile on their engagement scores, had customer ratings that were 12% higher than those in the bottom quartile. So now lets add the cost of a lost client and the additional costs of acquiring new clients (just to replace lost business) to our list – (E) Additional costs due to need to acquire new clients to fill out lost business from existing clients. As you can imagine, it is extremely difficult to gauge the financial impact of long-term impacts of disengagement. In fact any of the areas I mentioned prior could be seen as having both a short-term and long-term impact. The costs of disengagement are anything but intangible. They are very real, very tangible and can be determined with a fair degree of accuracy – assuming the company has the will power to do so. Determining the costs, however, is only the tip of the iceberg. The bigger question that the C-suite of an organization faces is – what next? A true introspection about the causes of disengagement can throw up conclusions that are uncomfortable (at the very least) and need a serious investment of time and will power, more than money to set right. Sometimes the task seems so daunting that the most determined and ambitious of executives might give up even before starting. Building truly great organizations is not unlike nation building. You might have the vision, but if your employees aren’t on board that vision is going to remain just that – a vision. Just as you can’t hope to build an impressive structure if the foundation and the core are rotten, you can’t hope to build a great organization if your employees are disengaged. The cost of disengagement in the long term?